The Palomino Club - The Works of Joe Campolo Jr. Recently I came upon a Facebook page for The Palomino; a night club that was located in North Hollywood, California. I was sad to hear that The Palomino had closed back in 1995. In the early seventies after my military service had ended, I lived in North Hollywood for a time. I stayed with friends and relatives until I got a job, after which I moved to the Olive Tree apartments on Lankershim Boulevard which was just down the street from The Palomino. The Palomino was in its heyday back then, and although primarily a country western club, they also featured various rock and roll entertainers as well. 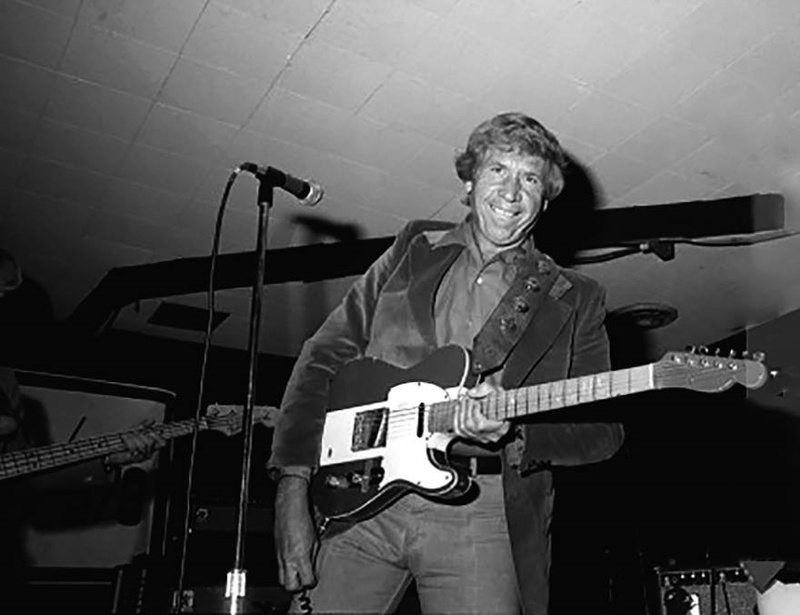 Buck Owens often played at The Palomino and being within earshot while out by our swimming pool and deck, we’d often here “It’s Cryin Time Again” by Buck and his Buckaroos. The Palomino’s music made for a festive atmosphere at our apartment building and many people visited us just to listen to the Palomino’s music. In the spring of 1973 a strong earthquake hit the San Fernando Valley where North Hollywood is located. 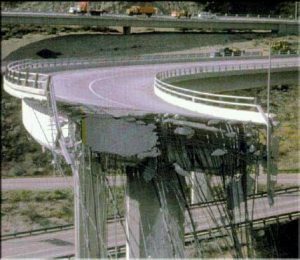 By then I had been through many earthquakes and tremors including the powerful Sylmar earthquake which happened on my first morning in California in 1971. In 1971, having just returned from Vietnam, I woke up thinking we were under a Vietcong mortar and rocket attack; until I shook off the cobwebs and remembered I was no longer in Vietnam. That was indeed a rude awakening to California for me. The earthquake in ’73 was not as severe as the Sylmar quake which was a huge jolting quake; the ’73 quake was rather a large rolling quake. I had just made my morning coffee preparing to go to work when it hit. I temporarily lost my balance and lay down on the floor till it was over. I then went outside where a chaotic scene was playing out. People from all the apartments were out there, clamoring around in their underwear, excitedly jabbering about the quake. Many streets were closed because of broken utility lines and water pipes so we all got a bonus day off. We quickly turned the event into an all apartment party and had a helluva good time. When our supplies of liquid refreshments ran out, The Palomino and other nearby establishments were visited and depleted of their supplies. Damage from the Sylmar quake of 1971. Later that day I received word from my employer that the building had been damaged in the quake and deemed uninhabitable until it could be repaired. Clueless, I initially celebrated the news that would extend me for weeks without a paycheck. Soon, my paltry savings dried up and I found myself in a financial bind. My great Aunt and other relatives and friends let me know I could have meals with them and even move back if need be, but I had a tough time swallowing my pride and determined to tough it out. It wasn’t long before I was hard pressed. With the rent overdue, I took to climbing in through the bathroom window (yep, just like in the song) to avoid the landlord. Short of groceries, I became a patron of a nearby hamburger joint who featured twenty nine cent burgers one day a week. I would buy a couple dozen, keep them in the freezer and live off of them all week. Fortunately the manager at the Olive Tree apartments was a decent person and took pity on me. One day he caught up with me out in the parking lot. The olive trees which the apartment complex was named after were nice, however they created a nuisance; olives were constantly falling from the trees and cluttering up and staining the sidewalks and deck. The landlord told me he’d cut my rent in half if I swept the olives up every day. I took him up on his offer, which bought me some time for the rent however I was still struggling to pay my bills, which included a loan on my brand new Japanese pick-up truck. The landlord, a regular at the Palomino, recommended I go see the manager at the night club. The manager at the Palomino offered me a job sweeping up several nights a week. In addition to the wage he offered, he threw in a meal once a day. I was very grateful when he allowed me the daily meal before I even picked up a broom. I thought it was cool that, while working, I would be listening to top quality entertainment and maybe even rubbing elbows with some of the stars. Just after the opportunity at The Palomino turned up I got a call from my employer. The building had been repaired and passed inspection; work would resume the next day. And although this should have been good news, and I could not afford to not return to work I was disappointed. The prospect of adventure at The Palomino had really grabbed me and I was reluctant to have to pass it up. I thanked the manager at The Palomino who extended the offer in case things didn’t work out. I was also in debt to my landlord who gave me an additional couple of weeks of grace before bringing my rent up to date. And although I never swept a floor or heard a guitar string twang as a Palomino employee, I am forever grateful for their kind offer, and have many fond memories of the music which wafted down to all of us at the Olive Tree Apartments. 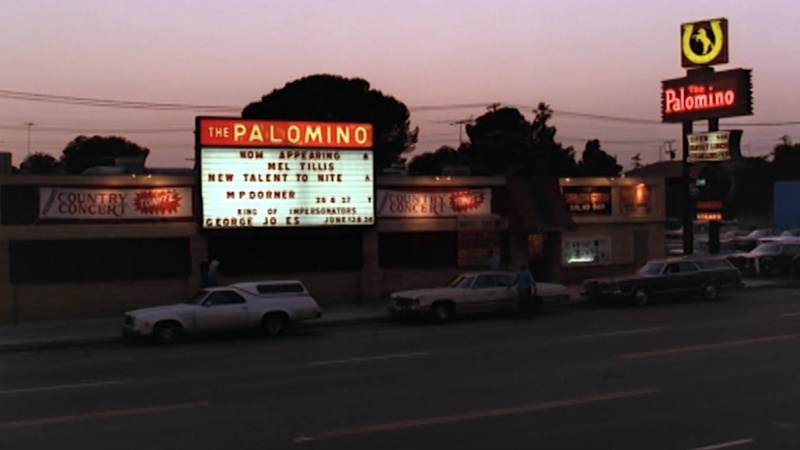 in 1976 I lived in an apartment , corner of sherman way and lankershim, and walked to the palomino like 6 nights a week, could never get enough. The Palomino was always jumping!